How does Hornsby Council’s Tree Preservation Order affect you? Trees protected by the new Tree Preservation Order are trees that are indigenous to Hornsby Shire. Trees growing within designated Heritage Conservation Areas (as noted in the Hornsby Shire Heritage Development Control Plan) or trees that are listed as heritage items within the Plan. Trees exempt from protection under the new Tree Preservation Order are trees that are not indigenous and not growing within a designated Heritage Conservation Area, all noxious weeds and trees less than three metres in height. Trees are an important part of the character of an area, attracting people and adding value to your property. Trees and plants in general play an essential role in maintaining the environmental health of a region by protecting soil and water supplies, storing carbon and providing habitat for wildlife. 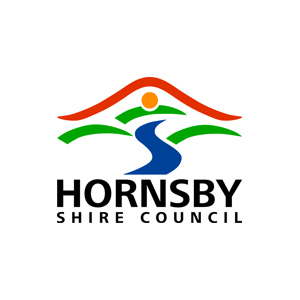 How can Arbor Pride assist Hornsby Shire Council residents with the new Tree Preservation Order? We can assist you with interpreting the new Tree Preservation Order and what it means to the trees on your property. Following this, we can get the job done for you including liaising with the Council (if required), then get the job done for you safely in a designated time frame and with minimal disruption to the surrounding environment. Arbor Pride aims to deliver unparalleled tree care solutions to its clients through highly skilled, professional, hardworking staff. We specialise in all types of tree removal, tree pruning, consultation, pest/disease diagnosis and Level 5 Arborists reports. Arbor Pride services cater to both commercial and residential clients throughout the Hornsby Shire Council area. Call us on 1300 887 417 for a FREE consultation.